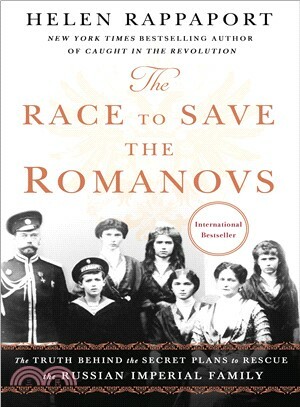 On the 100th Anniversary of the murder of the Russian Imperial Family, Rappaport embarks on a quest to uncover the many international plots to save them, why they failed, and who was responsible. The murder of the Romanov family in July 1918 horrified the world and its aftershocks still reverberate today. In Putin's autocratic Russia, the Revolution itself is considered a crime and its anniversary was largely ignored. In stark contrast, the centenary of the massacre of the Imperial Family will be commemorated in 2018 by a huge ceremony to be attended by the Patriarch of the Russian Orthodox Church. While the murder itself has received major attention, what has never been investigated in detail are the various plots behind the scenes to save the family—on the part of their royal relatives, other governments, and Russian monarchists loyal to the Tsar. Rappaport refutes the claim that the fault lies entirely with King George V, as has been the traditional claim for the last century. The responsibility for failing the Romanovs must be equally shared. The question of asylum for the Tsar and his family was an extremely complicated issue that presented enormous political, logistical and geographical challenges at a time when Europe was still at war.